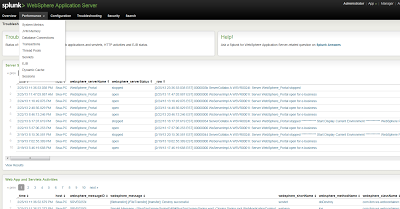 Recently I had to monitor and analyze the logs after go live for couple of days . 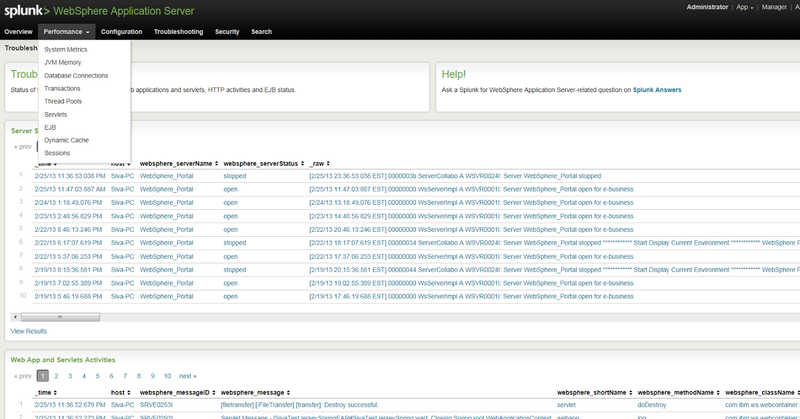 Attended Splunk training earlier but didn't get chance to use it much and started exploring it. 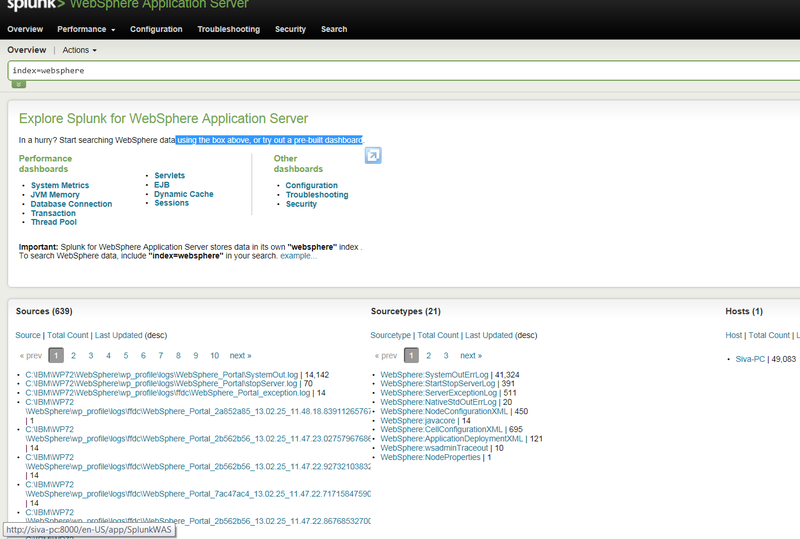 Splunk provides out of the box App to analyze and monitor websphere appserver server config and logs (events). 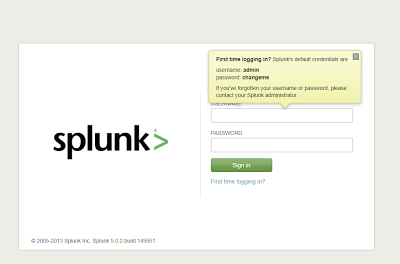 6. provide the Splunk account details to download the app , once the installation is done it asks restart. 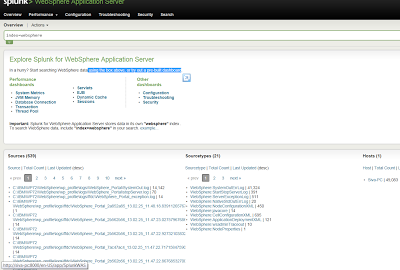 You need provide the was admin crendentials If you want to gather the JMX metrics (Like WAS out of the box PMI metrics). 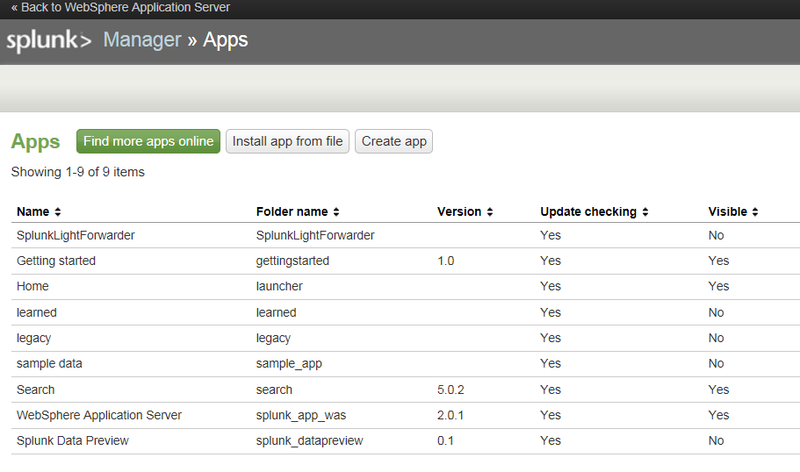 On each WAS machine from which you will collect log data, you must install a Splunk universal forwarder and the Splunk Forwarder Add-on for WAS. 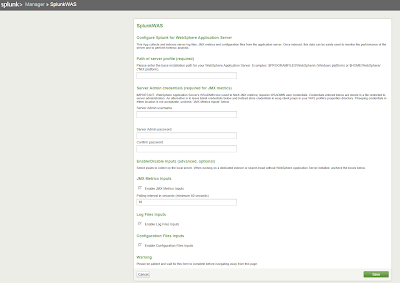 If you want to collect JMX performance data, then you must have a stand-alone host with network access to the WAS Deployment Manager and an installed Splunk universal forwarder with the Splunk Forwarder Appliance Add-on for WAS installed. 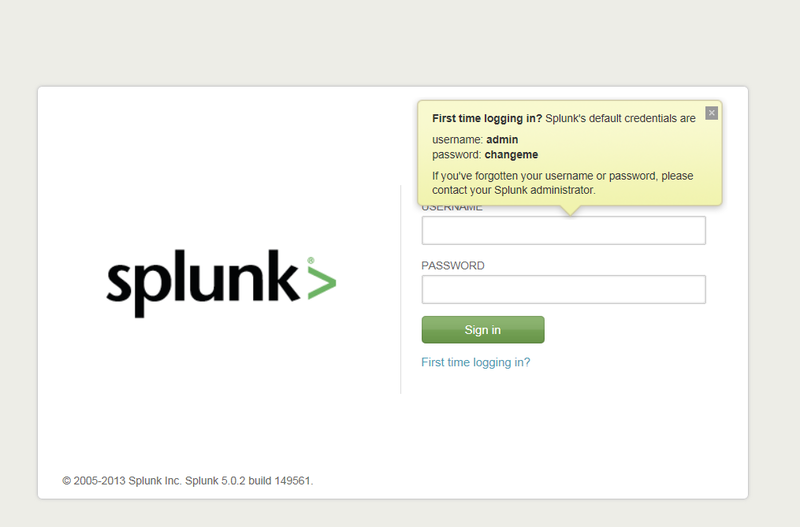 To collect, search,and store the data in your environment you must have a Splunk instance with the Splunk App for WAS installed. 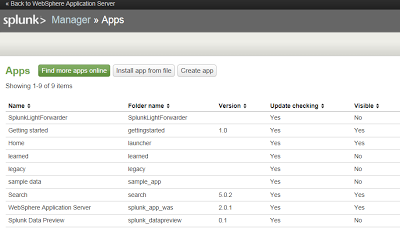 Note: As I have single server , I have installed it as a standalone App , In this case you do not need the FA or the Forwarder Add-ons.